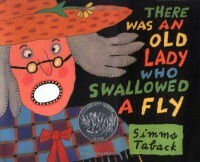 This little fun book is about an old lady who eats a fly, cow, and other impossible things. This book has a cool song to go along with it. I would read this book to a kindergarten class and allow them to sing the song. I would allow my students to create the old lady on a poster and place 3d items on her stomach to indicate things that she has eaten.